Powerful. Reliable. Energy Efficient. Cost Effective. * A Product Category Rule (PCR) establishes an internationally recognised set of rules, requirements and guidelines to test and report on a product’s impact on the environment. The playing field is levelled by setting industry standards on the evaluation of the products’ environmental impact and performance (i.e. dry times and energy use) making it easier to make an informed decision with an apples to apples comparison. The first ever hand dryer PCR was published by UL Environment. 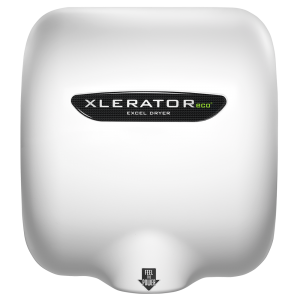 In dealing with Excel Dryer (UK) LTD you will be purchasing one of the best high speed hand dryers on the market accompanied with the highest levels of customer service at the time of sale and beyond. 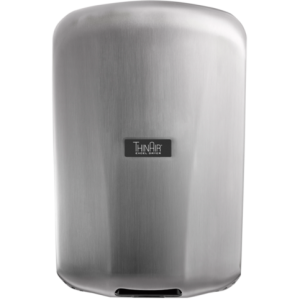 For years the technology used to create hand dryers remained virtually unchanged, and many hand dryer models on the market today are still based on the first 1948 electrical hand dryer design. 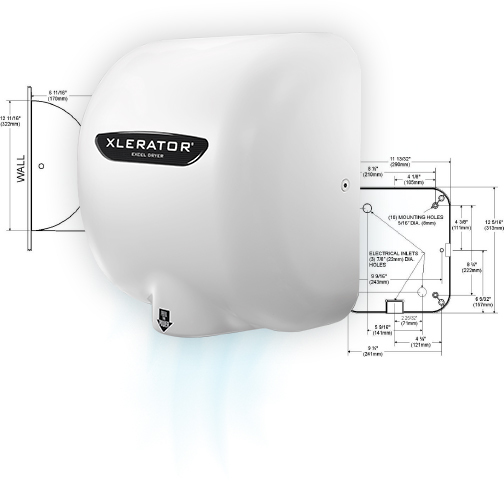 Excel Dryer has worked with rocket scientists and top engineers to examine every detail of the hand drying process and a revolutionary and award winning hand dryer of the future. 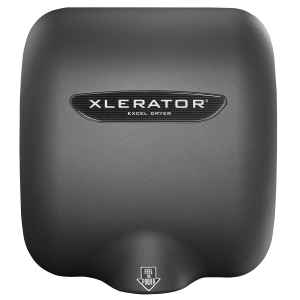 With enhanced features and the most options and accessories in the industry, you can create the best hand drying solution for any washroom environment. At Excel Dryer we thrive to meet all of your washroom needs. This is why we offer our 1 year onsite labour/5 year parts warranty. We are also a one stop shop supplying various parts for our hand dryers so that after 5 years your hand drying needs can still be taken care for years to come. 95% savings versus paper towels. 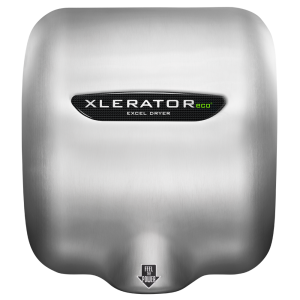 According to an independent Life Cycle Assessment to ISO 14040, XLERATOReco achieves this reduced impact compared to conventional hand dryers and paper towels (new and 100% recycled content). Calculate your savings, select your daily paper towel usage.